Recently, Santa Margherita sent me four bottles of wine for free so I could offer my honest review. As a lover and collector of wine, it's always a pleasure to taste and evaluate wines from a well-respected maker. 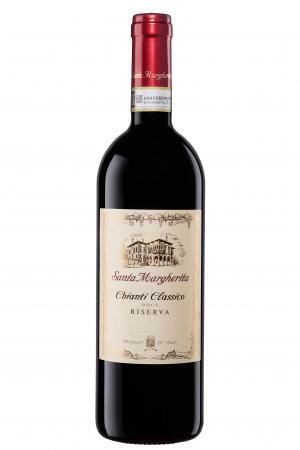 Santa Margherita creates classic Italian wines made in an old-world fashion. Their current offerings include two whites, a sparkling rosé, and a red. The Santa Margherita Pinot Grigio was a pleasant surprise. I say surprise because I don't typically love white wines, but I loved this one. It's crisp, dry, and bright with lots of friendly acidity, and a lovely floral fruitiness on the palate. It's a perfect summer wine that will go well into autumn, particularly when paired with a heavy cream sauce (the acidity will cut through the fat and balance it beautifully) or a nice light scallops or white fish dish. I had some leftover after my tasting, and I used it as an acid element in a light zucchini and shrimp pasta. It added the perfect balance. 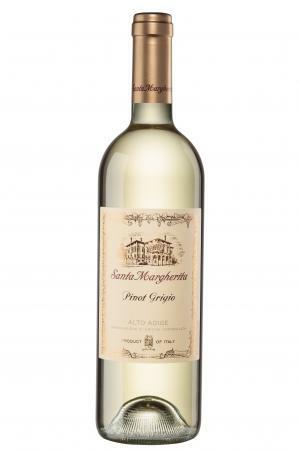 I would recommend the Santa Margherita Pinot Grigio, which is a bargain at around $15 a bottle. My exception to not enjoying white wines are sparkling wines. I love them. So it's no surprise I enjoyed the NV Prosecco Superiore. It's a lightly frizzy wine made from Glera grapes grown in Valdobbiadene. I like my sparkling wines dry, and this one was dry as a bone with a light, enjoyable elegance. I believe Prosecco is one of the best bargains in sparkling wine, and the Santa Margherita Prosecco Superiore is quite affordable at under $20 per bottle. Have it for any occasion where you want affordable bubbly...you can use it in place of more expensive Champagne and not sacrifice flavor or enjoyment. This crisp bubbly was my favorite of all the Santa Margherita wines I tasted, and I'd buy it again and serve it at a party. Try it with lobster or enjoy it with a 1/2-ounce float of Chambord in it for a fantastic cocktail. This pretty pink wine comes in a festive bottle, which makes it great for a brunch gathering or a bridal shower. It was my least favorite of the Santa Margherita wines, but that's hardly the winery's fault; I've never warmed up to rosés. This version is a blend of sparkling white with just a hint of red tossed in, which adds some subtle berry flavors to bright, crisp notes. The wine is nice and dry and has a refined bubble and a light pink hue that's delightful. It's about $25 per bottle, which is still affordable for a sparkling rosé, and the light floral notes would pair well with salmon or shrimp. I probably wouldn't drink this again, but I can appreciate the craft that went into making it and if I had guests who preferred a rosé, this would be a definite contender. Made predominately with Sangiovese grapes with a hint of Merlot and Cabernet Sauvignon, this is a well-structured red with a lot of flavor. The tannins soften a bit on aeration, and they are never overpowering. While it's not a wine to age for decades, it's definitely onr you can store for a year or two without worry, so if you can get a deal on a case and you like Chianti, this is a good choice. It's got a beautiful ruby color, a strong lingering finish, and tastes of dark cherries with a hint of smoke. I found it enjoyable, especially given the price of about $30. This is a solid and accessible everyday drinker that would pair well with any tomato-based dish (think spaghetti or lasagna). It would also be delicious with a nice, meaty steak or a leg of lamb, or it would be tasty with barbecue. I'd buy it again. While I've never loved Sangiovese, I like the blend here with the Merlot and Cab, which add both softness and structure. Overall, I liked Santa Margherita's offerings. They all taste great, are versatile, and are good examples of their type. The best indication of whether a wine will work for you is how you think it tastes, as well as how it fits into your budget. I'd recommend giving these affordable wines a try.